The Paper Bag Christmas was originally published in the early 2000s, but was reprinted in hardback for this holiday season, which is probably a big reason why I cam across it this year. An endearing story of children in the pediatric oncology ward of a hospital being befriended by a couple of boys who need a reminder that Christmas isn't about the gifts you receive, but the gifts you give and why. This story, while a little cheesy in places (what Christmas story, besides the original, is not? ), brought tears to my eyes on more than one occasion. It this book isn't a Hallmark Original movie yet, I foresee it being one, one day! When Molar Alan and his older brother, Aaron, fill out their Christmas wish lists front and back, the Santa at the mall informs the boys they won't be getting anything they asked for. Instead, he says, they will receive everything they never wanted. This isn't your garden-variety Santa. He's Dr. Chris Ringle, a pediatric oncologist, and he enlists the brothers as Santa's elves as the children's ward for the holidays. Each boy is charged with a very special assignment. Aaron will befriend Madhu, a fast-talking boy on an organ-transplant list who has an insatiable curiosity and, though not Christian, wants to learn all about the holiday. Madhu is determined to be a Wise Man in the hospital pageant, despite the objections to his interpretation of the role. 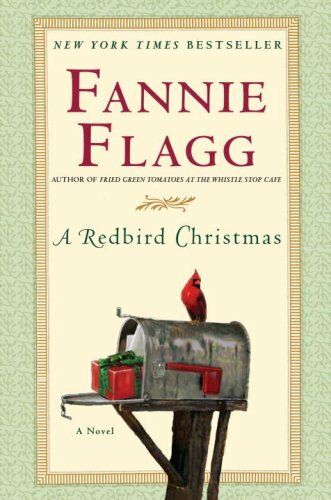 While A Redbird Christmas wasn't my favorite Christmas book I've read, it was nice to have a different style of Christmas book. This book's time line is a little over a year, which is quite different from most holiday stories. On top of that, this one - for the most part - takes place in southern Alabama, a place I know very little about. I liked traveling south for the holiday for this read, to learn what it's like to experience Christmas in a warmer climate that very rarely sees snow. 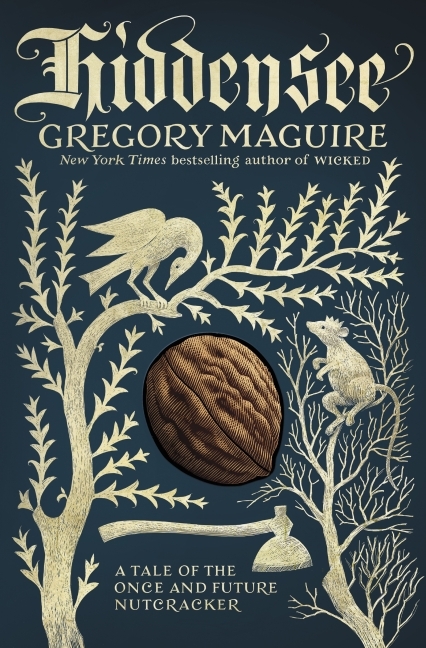 Over the years of reading Gregory Maguire's works, I have found that you either love them or you hate them. An author that usually write with a lot detail and history of the background story to create his own, you can either thrive in his version of the world, or get lost. While I have been for ever a fan of his Wicked series, most of his other works that I have picked up I tend to lose my way and end up not enjoying the story at all. Hiddensee was strangely a mixture of the two for me. While it was very easy for me to get lost and bored with the history and language, the background story is one that intrigued me enough that I found my way to enjoyment. Perhaps this is because, like Wicked, I didn't know the whole story behind the story. Yes, I've seen the Nutcracker, multiple times, but ballet has never really spoken to me, and so therefore I never fully understood the story, leaving me curious enough to pick this book up. While Hiddensee isn't really a Christmas book - not in the slightest really - I added it to this list of chapter books for the holiday season because of the background story. After all, Hiddensee is the background story for the Nutcracker and vice versa; and the Nutcracker is a Christmas story. Having brought his legions of devoted readers to Oz in Wicked and to Wonderland in After Alice, Maguire now takes us to the realms of the Brothers Grimm and E. T. A. Hoffmann - the enchanted Black Forest of Bavaria and the salons of Munich. Hiddensee imagines the backstory of the Nutcracker, revealing how this entrancing creature came to be carved and how he guided an ailing girl named Klara through a dreamy paradise on a Christmas Eve. At the heart of Hoffmann's mysterious tale hovers Godfather Drosselmeier - the ominous, canny, one-eyed toy maker made immortal by Petipa and Tchaikovsky's ballet - who presents the once and future Nutcracker to Klara, his goddaughter. The Autobiography of Santa Claus is the only book on this list that I did not pick up new this year. This is one book that I was told about by a grandmother while working in a bookstore all those years ago. The grandmother was buying several copies of it, and when I asked if she enjoyed the book, she responded with, "Every year, since I discovered this book, I would get my grand-babies together every evening during Christmas and read them this book. I have three grand-babies that are now off living by themselves and each have a baby of their own. Can you believe it!? I now have great-grand-babies! 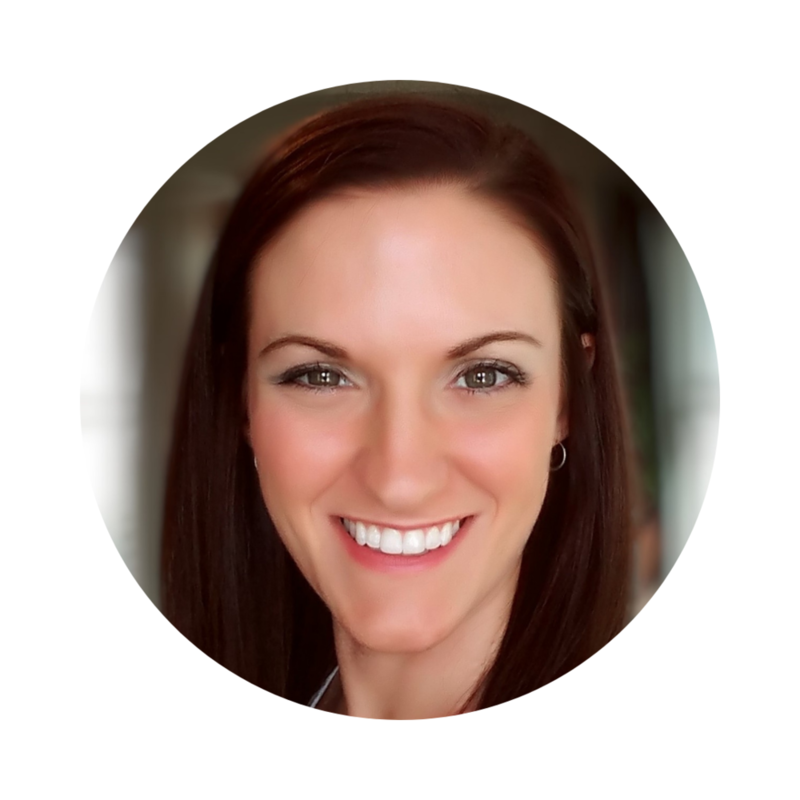 Anyway, I want for them to continue the tradition with them since I can't be there to do it." Later that day, once I clocked out, I picked up my very own copy of The Autobiography of Santa Claus, and read it every year. 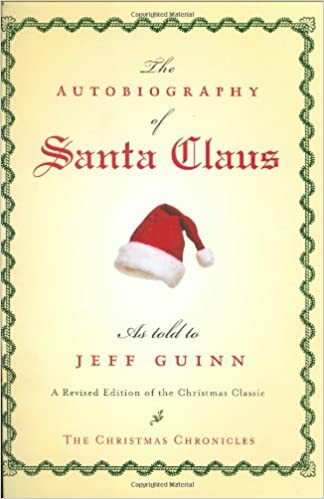 I enjoy this book from the perspective of Jolly ol' St. Nick because it gives you a real history to the legend of Santa Claus through his own eyes, something that you don't find often. I also enjoy it because it is a book that you can enjoy all through the month of December. The autobiography is broken up into 24 chapters just for this very special reason. So there's no need to zip through this one, but treat it as if its a fine wine and sip and savor it all throughout the Christmas season! This enchanting Christmas Chronicles classic combines solid historical fact with glorious legend to deliver the definitive story of Santa Claus. For anyone who has ever wondered... you're right to believe in him! In The Autobiography of Santa Claus, Santa reveals his story for the first time. Nicholas (his real name) was born in the Middle Eastern country of Lycia to wealthy parents who died while he was young. The kind people of Lycia taught him the lessons of goodness and generosity, which he began to practice as a child by sharing his wealth with those in need. As a young man, Nicholas realized that his generosity had bestowed upon him special abilities to distribute his presents to deserving children everywhere. And so it was that Santa broadened his gift-giving and spread his message to many others who also valued his belief in the goodness of giving. Again, I hope that at least one of them brings you some holiday cheer this season, and maybe a new tradition that you begin with your family during the magical Christmas season!